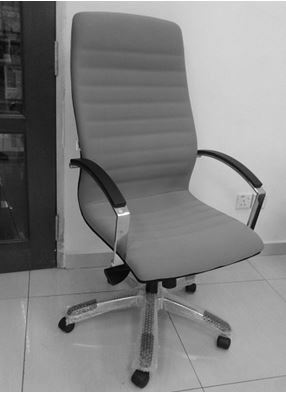 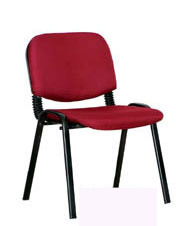 HIGH Back Executive Chair with Arms. 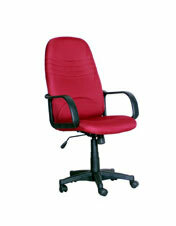 Having 5-Pronged Metal Base and Hydraulic Gaslift Height Adjustment. 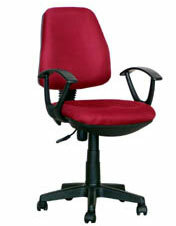 Fabric Upholstery in Maroon on Black. 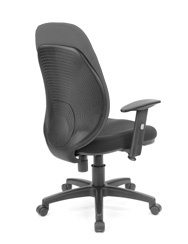 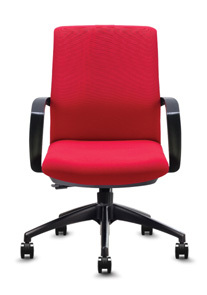 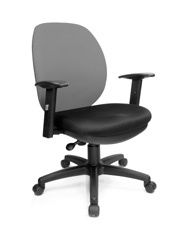 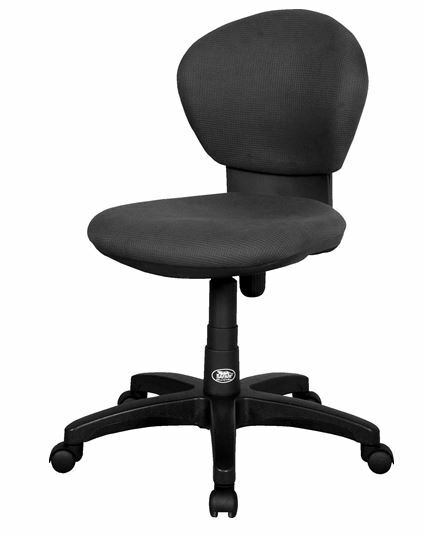 LOW Back Executive Chair with Arms. 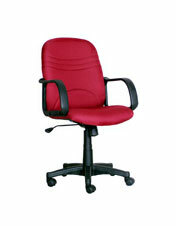 Having 5-Pronged Metal Base and Hydraulic Gaslift Height Adjustment. 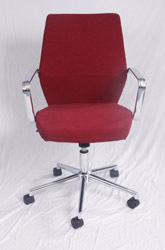 Fabric Upholstery in Maroon on Black. 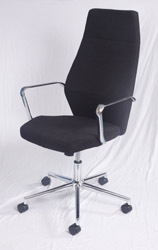 High back chair in black mesh fabric with black PU in headrest area. 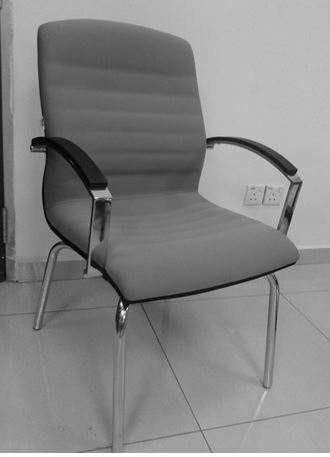 Model S-16 Visitor Chair without Arm.